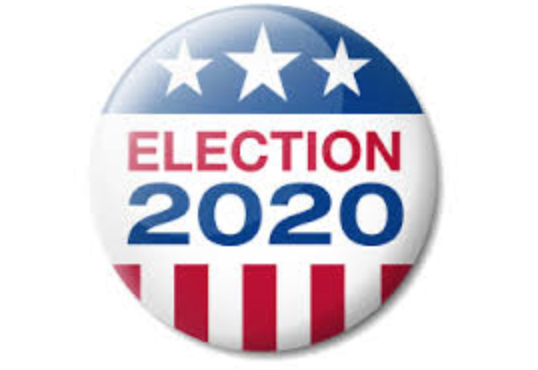 There are many people running for president in 2020. They have a lot of beliefs, and most are different than the president we have now. People have more options to choose from, so we wanted to talk about a few. Story By Emani Armstrong, Logan Arthur, Mia Davis, Deonna Larry, Taveon Green, Talise Green, Zyian Guster, ShyAnn Jackson, Angel O’Neal, Warren McKenzie, and Chloe Tyler. Photos compliments of Google. Cory Booker Cory Booker was born April 27, 1969 in New Jersey. He is an American politician who became the first African American U.S. Senator from New Jersey in 2013 and represents the Democratic party. If Cory Booker was president he says would look into making the criminal justice system better. We believe that Booker has a good chance of winning the election because he wants to make life better for people. Elizabeth Warren Senator Elizabeth Warren is a Democrat from Massachusetts. She is 69 years old and was born on June 22,1949 in Oklahoma City. If she becomes president, she wants to ensure that people of all races can get high paying jobs, have health insurance, and access to universal childcare. We think this will make her very popular with people and that many people will vote for her. Kirsten Gillibrand Kirsten Gillibrand is a Democrat from Albany, New York. She is a 52-year-old attorney and has been involved in politics since 2006. As president, she would want to allow people to go to college for free, to ban assault weapons and make background checks to own a weapon mandatory. This may make some people unhappy, but it may end up keeping us safer. Tulsi Gabbard Tulsi Gabbard is a 37 year old woman who is running for president in 2020. She is a Democrat from Hawaii. She has been a part of the congress since 2012. If she is elected, she wants to encourage people to protect the environment, give healthcare for all, and help small businesses be successful. Bernie Sanders Bernie Sanders is an independent senator. He was born in New York City, but is involved in politics in Vermont. He has worked in congress as a senator since 2007 and worked in the US Congress since 1990. He wants to make sure that races are treated equally and wants to help people make more money so they can live better lives. He also wants people to be able to get an education for free, have insurance, be able to take paid time off of work after having a baby. Andrew Yang Andrew Yang was born on January 13, 1975 and made his own business called Venture for America that encourages young people to create small businesses. President Obama supports Andrew Yang because he wants to help people be able to support themselves by giving them money every month. Donald Trump Donald Trump wants to be president again because he wants to continue working on the national debt and stopping illegal immigrants from getting into the United States. He was a businessman before becoming president and he thinks he can use that experience to make America better. A lot of people think he is doing a good job, but a lot of other people noticed that he has made things worse because he is mean and makes poor choices. Kamala Harris Kamala Harris was born on October 20, 1964. She is in the U.S. Senate and has been the Attorney General in California. She is a Democrat who is running for president to make America better by fighting for equal rights and fair treatment regardless of skin color. She also wants to decrease the amount of violence in schools. Amy Klobuchar Amy Klobuchar was born May 25, 1960. She is a lawyer, and was elected as a Democrat to the United States Senate in 2006. She supports LGBTQ+ rights and wants to make health care available to everyone like President Obama did with Obama Care if she becomes president. Bill Weld Bill Weld was born July 31, 1945. He was the governor of Massachusetts from 1991 to 1997. He ran for the United States senate in 1996 but he lost to John Kerry. He also ran for president in 2016 as a libertarian, but Trump won instead. We think he has a chance of winning because people who like Trump may want to vote for him because he agrees with some conservative things like Trump does, but he also agreed with abortion being legal, and rights for LGBTQ+ people like letting them get married to people who would make them happy. People who have a lot of different views may like him. 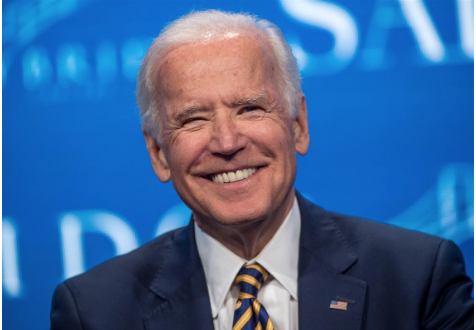 Joe Biden Joseph Robinette Biden Jr. is an American politician who served as the 47th vice president of the United States from 2009 to 2017 under President Barack Obama. A member of the Democratic Party, he represented Delaware in the U.S. Senate from 1973 to 2019. He was the youngest U.S senator and was re-elected into the Congress upper house six times and became the 4th senior senator in 2009. If Biden runs for president, people say that he would want to continue with some of the things President Obama did like giving more rights to people in the LGBTQ+ community and helping people by giving them all health care to keep them healthy. Howard Schultz Howard Schultz was born on July 19, 1953 in Brooklyn, New York and is 65 years old. He is known for his business, Starbucks, that he created in 1986. If he becomes president, he does not agree in “medicare for all” but doesn’t have a plan to put anything else in place yet. He thinks that immigrants brought here as children should be able to stay, but wants to stop other people from coming to the U.S. illegally. He doesn’t like Trump’s wall but has not talked about a different plan yet. He also thinks that tax reform should be in place for everyone as opposed to making the wealthy pay more taxes. Pete Buttigieg Pete Buttigieg was born on January 19, 1982 and is 37 years old. This is pretty young for a presidential candidate! He became the 32th Mayor of South Bend, Indiana in 2012. He is a Democrat. If he becomes president, he wants to lower the cost of college, help students have less debt, and figure out what can be done to help with climate change. Beto O’Rourke Robert Francis Beto O’Rourke was born September 26,1972 and is 46 years old. He was born in El Paso, TX. He is a member of the Democratic party and represented Texas for three terms in the United States House of Representatives. If he becomes president, he wants to take down the border wall, provide Medicare for all Americans, work to give more money for low-income students in the public school system, let teachers help to make decisions about what and how students learn, and have better gun control. Mia Davis is a 3rd grade scholar at Friendship Chamberlain Academy. Emani Armstrong, Logan Arthur, Talise Green, Taveon Green, Shyann Jackson, Deonna Larry, Angel O’Neal and Chloe Tyler are 4th grade scholars at Friendship Chamberlain Academy. Zyian Guster and Warren McKenzie are 5th grade scholars at Friendship Chamberlain Academy.